Deccie's Done Deal Second Hand Furniture & House Clearances : SILVER-REED SILVERETTE II TYPEWRITER: Do you fancy yourself a Jessica fletcher? Murder, She Wrote is an American television mystery series starring Angela Lansbury as mystery writer and amateur detective Jessica Fletcher. The series aired for 12 seasons from 1984 to 1996 on the CBS network, with 264 episodes transmitted. It was followed by four TV films and a spin-off series,The Law & Harry McGraw. It is one of the most successful and longest-running television shows in history, with close to 23 million viewers in its prime, and was a staple of its Sunday night lineup for a decade. The series is also successful around the world. 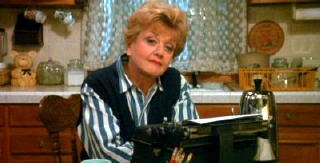 Lansbury was nominated for a total of ten Golden Globes and 12 Emmy Awards for her work on Murder, She Wrote. She holds the record for the most Golden Globe nominations for Best Actress in a television drama series and the most Emmy nominations for outstanding lead actress in a drama series forMurder, She Wrote, with those nominations netting her four Golden Globe awards. The series received three nominations but no wins in the Outstanding Drama Series category at the Emmys. It was nominated for a Golden Globe in the same category six times and won twice. Since the series ended in 1996, a series of four TV movies were released between 1997 and 2003, a game created by Legacy Interactive was released for the PC platform in 2009. A second game is currently in development. A spin-off book series, written by Donald Bain, continues to the present. 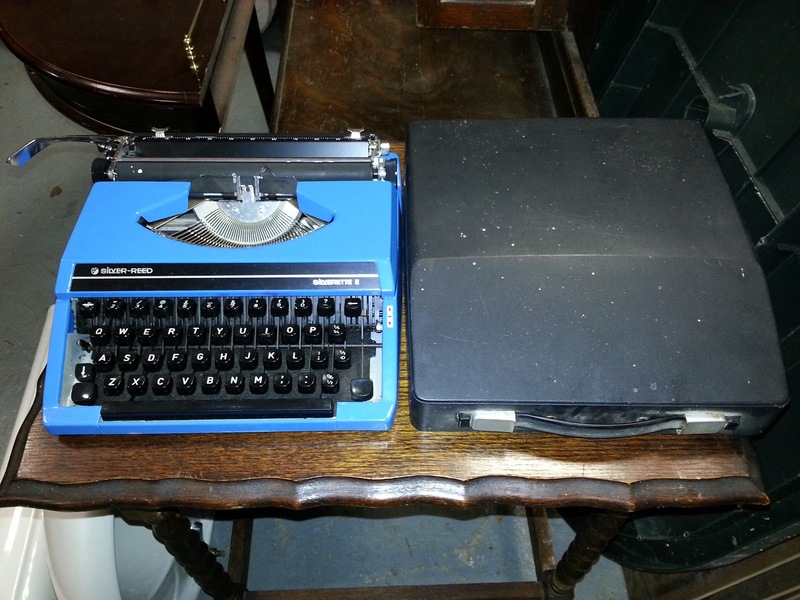 Today we acquired the bellow pictured bright blue portable typewriter. 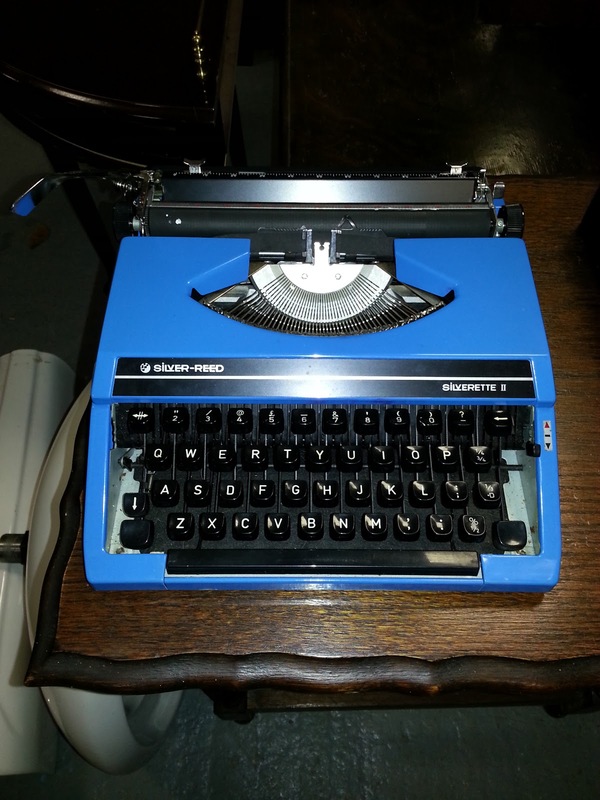 This Silver-Reed Silverette II typewriter would be a perfect Christmas present for anyone who is either interested in or dreaming of being a novelist. Maybe your already a professional writer and would like to add a nostalgic touch to your life of typing. I love to hammer away at metal keys and hear the rhythmic clatter of the hammer hitting paper, there is something therapeutic about typing on the real deal. If nothing else a real typewriter is something the kids will love to play with and when they aren't occupied learning how to type it will make an interesting ornament placed in front of a vase of flowers. 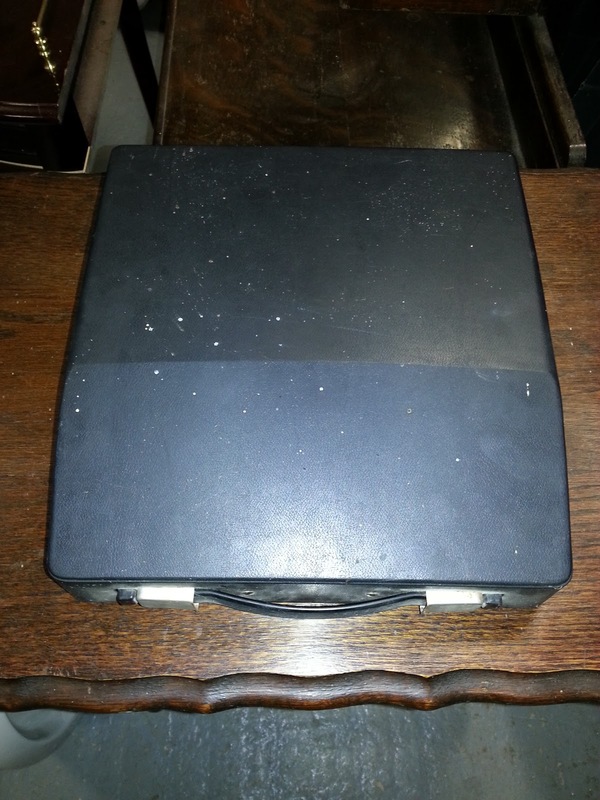 Well do I remember playing for hours as a little boy on the type writer Deccie brought home from a car boot sale. When I was young computers had just been invented, the typewriter was on the way out, today the keyboard and the mouse are becoming a thing of the past as touch screen technology becomes more wide spread. Owning your very own vintage typewriter is like owning a little piece of history, a little token of human ingenuity all of your own. For anyone who is interested in the history of typewriters, take a read of the article pasted bellow. Click the link at the bottom to continue reading on the original site. Numerous inventors in Europe and the U.S. worked on typewriters in the 19th century, but successful commercial production began only with the "writing ball" of Danish pastor Rasmus Malling-Hansen (1870). This well-engineered device looked rather like a pincushion. Nietzsche's mother and sister once gave him one for Christmas. He hated it. Much more influential, in the long run, was the Sholes & Glidden Type Writer, which began production in late 1873 and appeared on the American market in 1874. Christopher L. Sholes, a Milwaukee newspaperman, poet, and part-time inventor, was the main creator of this machine. The Sholes & Glidden typed only in capital letters, and it introduced the QWERTY keyboard, which is very much with us today. The keyboard was probably designed to separate frequently-used pairs of typebars so that the typebars would not clash and get stuck at the printing point. The S&G was a decorative machine, boasting painted flowers and decals. It looked rather like a sewing machine, as it was manufactured by the sewing machine department of the Remington arms company. 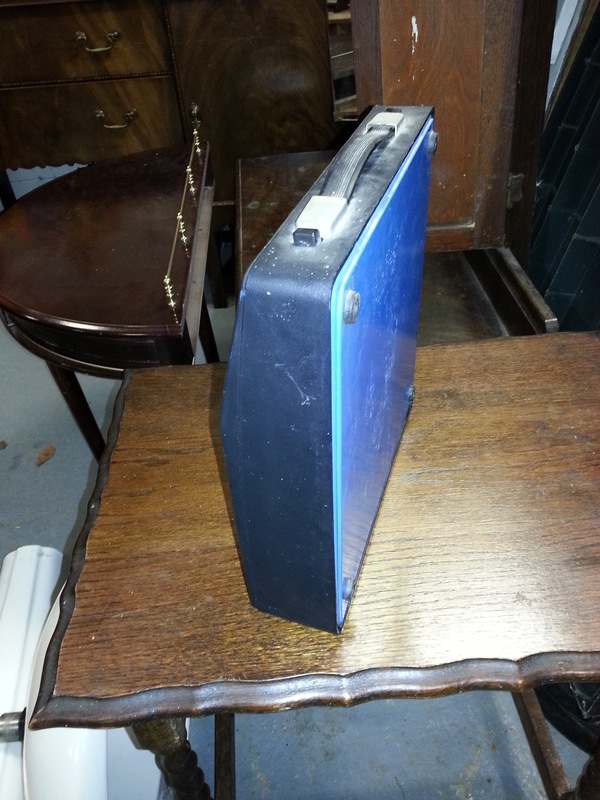 For an in-depth look at this historic device, visit Darryl Rehr's Web site "The First Typewriter." The Sholes & Glidden had limited success, but its successor, the Remington, soon became a dominant presence in the industry. The Sholes & Glidden, like many early typewriters, is an understroke or "blind" writer: the typebars are arranged in a circular basket under the platen (the printing surface) and type on the bottom of the platen. This means that the typist (confusingly called a "typewriter" herself in the early days) has to lift up the carriage to see her work. Another example of an understroke typebar machine is the Caligraph of 1880, the second typewriter to appear on the American market. This Caligraph has a "full" keyboard -- separate keys for lower- and upper-case letters. Click here to read more about the Caligraph.The Smith Premier (1890) is another example of a full-keyboard understroke typewriter which was very popular in its day. Click here to read more and see the machine. The QWERTY keyboard came to be called the "Universal" keyboard, as the alternative keyboards fought a losing battle against the QWERTY momentum. (For more on QWERTY and to learn why "QWERTY is cool," visit Darryl Rehr's site The QWERTY Connection .) But not all early typewriters used the QWERTY system, and many did not even type with typebars. Case in point: the ingenious Hammond, introduced in 1884. The Hammond came on the scene with its own keyboard, the two-row, curved "Ideal" keyboard -- although Universal Hammonds were also soon made available. The Hammond prints from a type shuttle -- a C-shaped piece of vulcanized rubber. The shuttle can easily be exchanged when you want to use a different typeface. There is no cylindrical platen as on typebar typewriters; the paper is hit against the shuttle by a hammer. ... and the practical Blickensderfer.